I joined the Science Division to work on 3D effects of plasma edge stability and have been greatly impressed. Working side by side with some of the brightest scientists on one of the biggest scientific projects in the world is a truly enriching experience. Being involved in the world’s largest fusion experiment is really exciting and an enormous privilege. Truly a unique and exciting research experience. It is a unique opportunity to help realize a fusion energy experiment that is the product of decades of research, and that has the potential to make fusion a household word. 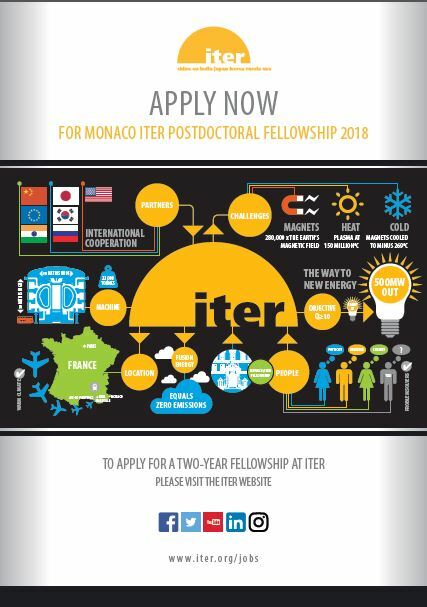 The application deadline for the 2018 Principality of Monaco/ITER postdoctoral fellowships was 1 March 2018. The next recruitment campaign will be held in 2020. In January 2008, a Partnership Arrangement was signed between the ITER Organization and the Principality of Monaco to set up a Postdoctoral Fellowship program. Since then, five young scientists from the seven ITER Member countries or from the Principality of Monaco have been appointed every two years, and—over a period of two years—are trained in research areas related to the ITER Project. In January 2018, the Arrangement was renewed for ten years, and a new recruitment campaign was launched. The principal motivation of the Research Fellowships is the development of excellence in research in fusion science and technology within the ITER framework. 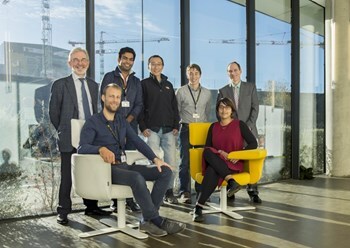 Brilliance and creativity, together with understanding of the relevance of the individual research interests to the ITER Project are a key requirement. The Monaco/ITER Postdoctoral Fellowship Program allows young researchers to participate in one of the great scientific and technical challenges of the 21st century and to work closely with leading experts in fusion science and technology within a unique international framework. If you are interested in contributing to the development of fusion energy and would like to experience the ITER Project "up close," the Monaco/ITER Fellowships are a great opportunity. Your PhD was awarded after 1 January 2015 or you are about to obtain one. You would like to carry out a research project and to participate in publications of high-quality journal articles in fusion science and technology. Your PhD was awarded after the 1 January 2015 or you will have received your PhD by the deadline for taking up an award. Important: Three letters of recommendation are also required. Please send those letters together with additional copies of your CV and motivation letter in one PDF file to HR-Recruitment@iter.org with a subject line: 2018 Monaco Fellowship application. Further Information: For questions related to aspects of the Monaco/ITER Postdoctoral Fellowships or the associated research projects please contact tim.luce@iter.org.